I have to admit, there was a point in my life where cooking was no longer a grand series of experiments, but more like a boring, predictable chore - have we had a hamburger ingredient meal this week? have we barbecued? have we made something with chicken? Mr. Curtis, bless him, always used to thank me for the meal. Now that I'm in this phase of kitchen boredom, he seems to have stopped - lol! So it was a surprise to me when I was asked to write a "daily online read" for Harlequin that the idea I came up with was about a fallen Italian chef helping in her grandmother's pizzeria and the cook from across the street at the Mexican restaurant (of course, I set it in my Harmony Valley series for Harlequin). As they and their families compete, as they and their styles of cooking begins to blend, I found myself searching for something online I hadn't known existed - Mexican-Italian cuisine. 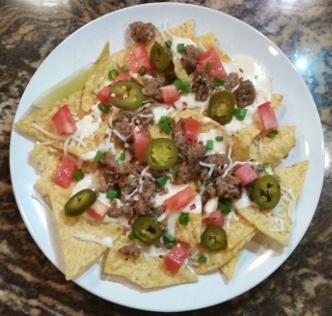 Here's a recipe for Italian Nachos - YUM! 1. Cut wontons into 4 triangles each and toss lightly in olive oil. 2. Cover a cookie sheet with a single layer of wontons. 3. Brush with egg white and sprinkle with oregano or Italian seasoning. 4. Bake at 400 degrees for 6 minutes or until lightly browned. 5. While cooking the nachos in the oven, heat the sauce, brown the Italian sausage and drain fat. 6. On a platter layer the pasta chips, sausage, and sauce. Top with the tomato, onions, olives and peppers. Finish with shredded cheese and red pepper flakes. 7. Place in warm oven for 5 minutes to melt cheese and serve. 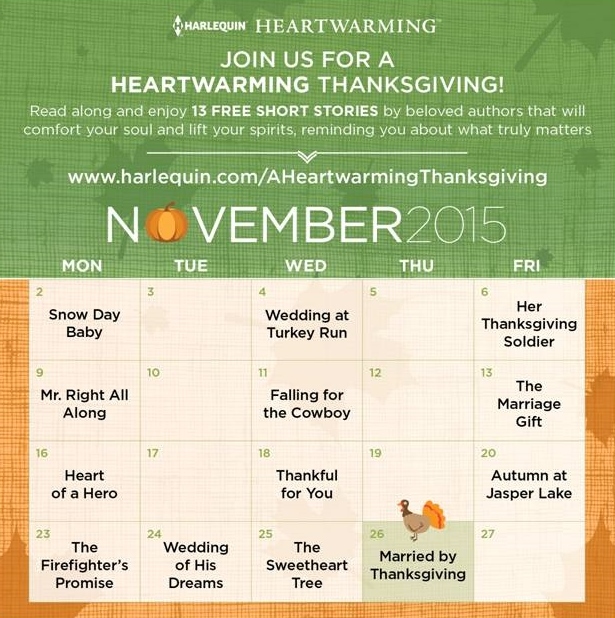 If you'd like to read A Kiss for the Cook, it's a FREE READ during the month of November at Harlequin. This sweet romantic comedy will go up in chapter installments every day all month long. If you'd like to receive a set of companion Mexican-Italian cuisine recipes, sign up for my book release mailing list. 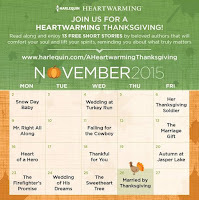 In addition to A Kiss for the Cook, Harlequin is offering 13 other free sweet reads during the month of November, plus great fun & games (like the chance to win prizes for writing an epilogue). Check it out here. I have a FREE READ in this program as well - Married by Thanksgiving! I hope you all won't be doing all the cooking on Thanksgiving! This sounds delicious and the online read sounds like a lot of fun. This sounds delicious! I'll give it a try. Love the free on-line read!